Jiangxi, in the South of China, has a variety of interesting travel-options. The untouched beauty of its misty mountains and fresh water lakes are fascinating. 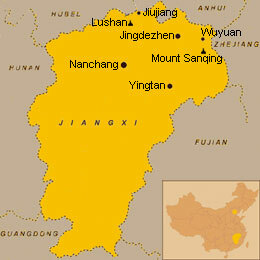 It has modern as well as ancient Chinese historical sites and China’s capital of porcelain is located in this province. The Poyang Lake is the biggest freshwater lake in China and also the largest winter habitat for white cranes. When winter approaches, about 2800 white cranes will come to spend their winter here. 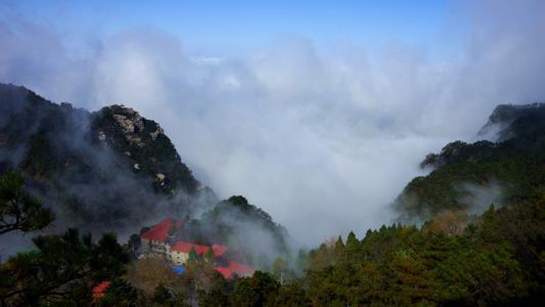 On its east side is Mount Lushan with lush mountains, ever-changing mist, rapid streams, numerous deep pools and waterfalls. 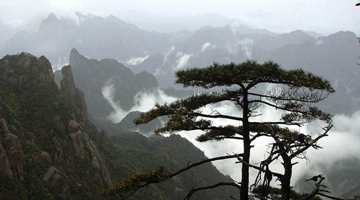 The Jinggangshan Mountain is in its beauty comparable, but more famous as the cradle of the Chinese revolution. Jingdezhen is the center of porcelain production. Ceramics were produced since 1800 years ago and still today tourists can visit many pottery factories in this ancient town. Not often visited, Jaingxi makes an authentic opportunity to enjoy rural life with pleasant scenes of charming villages and water buffalos working in fields.